On Thursday, Wisconsin Congressman Paul Ryan, Chairman of the House Budget Committee, proved again to me why I was ready to endorse him back in August when he gave running for President some serious consideration. Ryan’s CPAC speech was not a loud, gimmicky, Herman Cain-like sales pitch or slick, fast mouthed attempt to convince people to buy what they’re selling like Vince, pushing the “Schticky” on T.V. It wasn’t a halftime speech or an uplifting series of cheers from a pep squad. It was instead, a serious assessment of the truths we must face as a nation and as conservatives. It was pure Paul Ryan….honest, hard hitting, even keeled and right on the mark. Paul Ryan’s CPAC speech was a sobering statement about the ruin this nation faces by a single moment more of Barack Obama’s leadership but true to form, Paul Ryan did not ignore the blame deserved by his own Party and it was his criticism of conservatives that I appreciated the most and that the men running for running need to listen to the most. “You know, it’s not going to be enough to condemn the President’s attempt to pit one group of Americans against another. Instead we must promote upward mobility, starting with solutions that speaks to our broken education system, broken immigration system, and broken safety net programs that foster dependency instead of helping to get back on to their feet. In other words a bold reform agenda is our obligation. We have an obligation to provide the American people with a clear path that gets our nation back on track. If we make the case effectively and win in November, than we will have the moral authority to enact the kind of fundamental reforms that America has not seen since Ronald Reagan’s first year. That’s the moral case for going bold. But there’s also a strong political case for going bold. Anyone who has read my greatest criticisms about Mitt Romney knows, that his lack of boldness is I believe his greatest problem in this election. And at the same time, it is Newt Gingrich’s natural instincts to be bold which have led me to endorse him over Romney and the others in this race. It is my belief that Mitt Romney’s attempt to play it safe is now failing him and I appreciate the fact that Paul Ryan took the time to articulate the need for conservatives to step forward and offer a bold Reagan-like vision for out future. Now I just wish that the men remaining in the race for President will take Paul Ryan’s advice. But that was just one of many good points that Ryan made in his speech. For the many other good points, I suggest you hear him yourself. His speech is well worth the time it takes to hear his valuable words. Despite my high hopes for the presidential candidacy of Wisconsin Congressman Paul Ryan, today he announced that he hasn’t changed his mind about staying out of the race. 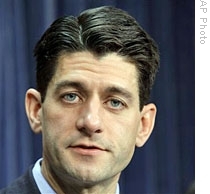 For me the certainty of Congressman Ryan’s not being a potential President in 2012 is disappointing. I am also disappointed by the lack of focus within the Republican presidential field that his absence will allow for there to be on the fiscal issues of the day and the economic problems we must confront. His absence from the race leaves me still uncommitted to anyone . I hope that will change, but for that to happen, a candidate, declared or declared, will have to show me that they are opposed to the Washington D.C. political establishment and politics-as-usual. They will have to show me that they truly understand that we spend too much and need to start spending less and reducing the size and scope of government. They must also demonstrate to me that have the vision to lead our nation on a reform minded agenda that is willing to make real changes to many things including our existing code. They also must be willing to insure that above all else, America remains a loyal defender of liberty that is willing to strengthen it at home and defend from threats abroad. In many ways I will I judge the candidates by the standard set by Paul Ryan and President Ronald Reagan as well as my political mentor Jack Kemp. . A standard that requires a temperament that is forceful but not combative, is passionate about their commitment to the cause of conservatism, especially fiscal conservatism, and has the wherewithal to conduct themselves in a way that makes me proud of them, my Party, and our nation. And while none of these standards are impossible to meet, the trick is trying to meet all of them or as many as possible, while also demonstrating to me that they have capacity to campaign and articulate the conservative cause in a way that attracts enough voters to end the reign of the Obama Administration. With the possibility of House Budget Committee Chairman Paul Ryan entering the Republican race for President, White House 2012 presents to you the Congressman’s White House 2012 Fact Page. which is located here. Here you wil be able to research the Congressman and read about him and his background. You will also find here, his contact information, staff contacts, websites, voting records, speeches, position papers, campaign finance reports, and much more. 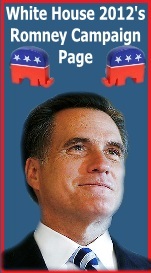 While White House 2012 as website has not endorsed any candidate for President, I have, and the person who I am hoping will run and can endorse is Paul Ryan. 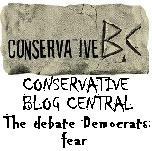 To be cear, this is not an endorsement by White house 2012. ON WH12, our writers are entitled to their own opinions. This happens to be mine. Check Paul Ryan out. If you agree, contact his office and urge him to run, then send his WH12 2012 page on to your friends and family and ask them to do the same. Paul Ryan is in many ways a unique politician. He was born with no silver spoon in his mouth. He did not receive an overpriced education behind the cloistered walls of Harvard or Yale and he did not buy his way into elected office. During his college years he supported himself by working for the Oscar Mayer meat and cold cut production company as a Wienermobile driver. During his junior year, he went on to study at the Washington Semester program at American University. Here he worked as a college intern opening mail for the foreign affairs advisor assigned to Wisconsin Sen. Bob Kasten. In his early years as a D.C. staffer, Paul moon lighted on Capitol Hill as a waiter at the Tortilla Coast restaurant and as a fitness trainer at Washington Sport and Health Club, among various other side jobs. Eventually he gained a congressional position as a staff economist attached to the office of U.S. Senator Bob Kasten. But after Kasten was defeated by Democrat Russ Feingold in 1992, Paul Ryan became a speechwriter and a volunteer economic analyst with Empower America, an advocacy group formed by Jack Kemp, former education secretary Bill Bennett, the late diplomat Jeane Kirkpatrick and former Minnesota Rep. Vin Weber. In 1996, Paul Ryan became a speechwriter for Vice-Presidential candidate Jack Kemp during the 1996 United States presidential election and later worked as legislative director for U.S. Senator Sam Brownback. After the ’96 presidential election, Paul Ryan returned home and worked as a marketing consultant for his family’s construction , Ryan Incorporated Central, a company began as an earth moving business created by his great-grandfather in 1884. Now his cousins’ excavating company and called Ryan Inc. Central, it happens to be a union shop. According to Ryan “I grew up in organized labor,”……“I have a lot of constituents who are in organized labor. I really do not have this ‘us against them’ mentality”. Ryan worked there in high school and then briefly worked there again but as a marketing consultant while running for office. In 1998, upon the retirement of his Congressman he ran for and won the Republican nomination for the job and eventually won the seat against Democratic opponent Lydia Spottswood. He went on to become one of the three founding members of the House GOP Young Guns Program but what Ryan became most known for was his devotion to fiscal conservatism It is said that till this day, Ryan speaks with a certain degree of awe and respect for people like Jack Kemp, who strongly influenced his supply side economic beliefs and in the footsteps of Jack Kemp, became one of fiscal conservatism most passionate leaders. While no one is perfect, Ryan will have to defend his 2008 vote for TARP, but does offer a plausible defense. But on May 21, 2008, Ryan introduced H.R. 6110, the “Roadmap for America’s Future Act of 2008”. This proposed legislation was a realistic attempt to face some of the most significant burdens on and causes for our perilous national debt. Ryan’s plan courageously dealt with entitlement issues. Its stated aims were to ensure universal access to health insurance; strengthen Medicare, Medicaid, and Social Security; lift the debt from future generations; and promote economic growth and job creation in America. But Democrats in control of Congress did not move on it. On April 1, 2009, Ryan introduced his alternative to the 2010 United States federal budget. This proposed alternative would have eliminated the American Recovery and Reinvestment Act of 2009, lowered the top tax rate to 25%, introduced an 8.5% value-added consumption tax, and imposed a five-year spending freeze on all discretionary spending. It would also have replaced the Medicare system. Instead, it proposed that starting in 2021, the federal government would pay part of the cost of private medical insurance for individuals turning 65. Ryan’s proposed budget would also have allowed taxpayers to opt out of the federal income taxation system with itemized deductions, and instead pay a flat 10 percent of adjusted gross income up to $100,000 and 25 percent on any remaining income. It was ultimately rejected in the house by a vote of 293-137, with 38 Republicans in opposition. When Republicans regained control of the House in 2010, Ryan’s budgetary expertise earned him the chairmanship of the House budget committee. One of the most powerful positions in the land. Not an easy fete for a man of just 41 years of age. In late January 2010, Ryan released a new version of his “Roadmap.” It would give across the board tax cuts by reducing income tax rates; eliminating income taxes on capital gains, dividends, and interest; and abolishing the corporate income tax, the estate tax, and the alternative minimum tax. The plan would privatize a portion of Social Security, eliminate the tax exclusion for employer-sponsored health insurance, and privatize MediCare. Of course these ideas have been distorted by the liberal left and used to scare senior citizens with. This was not unexpected, yet Ryan still had the courage to face the reality we are in, and touch the political third rails that so many do not have the courage to deal with. 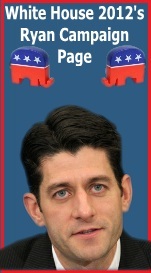 As of the writing of this page Paul Ryan is said to still be considering a run for President in 2012. He has the backing of many heavy hitters too. From my perspective I hope he does. Paul Ryan may not seem to be an obvious winner of either the G.O.P. nomination or the presidency. He is indeed not an immediate frontrunner and it is quite clear that the left will try to bury Congressman Ryan with tactics of fear and distortions regarding his willingness to tackle the entitlements and bring the type of economic reforms that our nation can not deny it needs if we are to ever get on the right track again. But at the same time, many voters, including the ever important independent voter, are willing to listen to viable solutions and they are appreciative of those who are willing to speak truthfully about the situation we are in and the steps we must consider to improve it. This combined with the Congressman’s solemn committment to the cause, and his incomparable ability to articulate the economic problems we face and steps we must take, can make him a force to reckon with if given a chance. I call Paul Ryan the little engine that could. Not only is he passionate but rational, and honest but pragmatic, he is sincere. Furthermore, while many may not initially see him as being a name big enough to win the Republican presidential nomination or to defeat President Obama, I believe people will be surprised. Ryan has a temperament that voters will appreciate and that is perfect for the current national climate. He is forceful but not combative and convincing but not cocky. And beyond that, he has the capacity to articulate a youthful vision for our nation that is realistic but optimistic. He has the ability to be a Republican JFK without the nepotism, philandering, and drama of Camelot. Paul Ryan is a new generation Republican. He is the next generation of American leadership that for many, Barack Obama was suppose to be but proved not to be. And unlike President Obama Paul Ryan has both life experiences as a blue-collar worker and a legislative leader who has actually worked and produced concrete results, not just campaigned and produced rhetoric. Ryan is a perfect anti-Obama. He is a limited government, states rights, Constitution based, deficit hawk with a record, the ability to defend that record, and who can articulate the cause, connect with the people, and has a genuine sense of committment that can be seen through the passion he has for his beliefs. A day after the prospects for a presidential run by Wisconsin Congressman Paul Ryan were heightened by reports that the Congressman is in fact seriously considering the idea, some of the most influential names in Republican circles have come out in support of the idea. Few candidates, declared or undeclared, have brought out the type of open public support and encouragement that Paul Ryan is receiving. While candidates like Mitt Romney , Michele Bachmann and Rick Perry receive high public praise from colleagues and elected officials, none of them have received public commitments to their campaigns from people such as former and incumbent governor’s , former presidential cabinet members and powerful incumbent members of Congress. 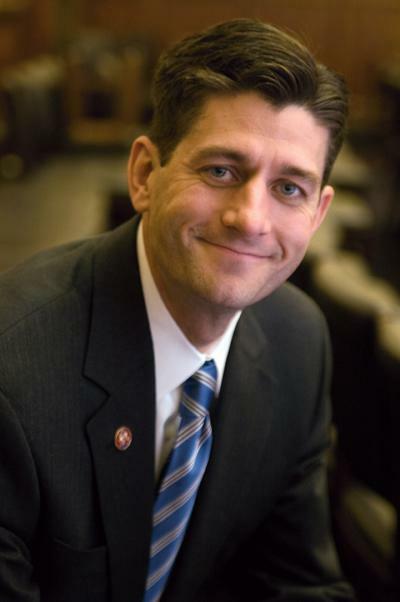 On the news that Ryan is nearing a decision, people such as Indiana Governor Mitch Daniels, Wisconsin Governor Scott Walker, former Florida Governor Jeb Bush, and former Director of National Drug Control Director Bill Bennett, have all indicated their extensive depth of support for Paul Ryan and his candidacy and have urged him to take the plunge. These three names alone are immensely important to have on one’s side. All of these men are widely embraced as conservatives and reformers by both establishment and anti-establishment forces alike. Walker, in particular. His courageous and controversial stands against the abuses of big unions and his difficult budget cutting choices have made him a particular favorite of conservative TEA movement activists. Another influential figure to be on Ryan’s side is the man who under Ronald Reagan was appointed to serve as the first National Drug Policy Director ……Bill Bennett. Bennett will be soon be visiting Ryan while he is on vacation with his family in Colorado. The two are old friends and Ryan considers Bennett a mentor of sorts. From all indications, Ryan’s mentor is likely to help the Congressman conclude that it is in fact time for him to take the mantle of leadership and run for President. But praise is nothing new for the sensible young conservative Congressman from Wisconsin. Ryan has been consistently receiving glowing reviews for his work, personality, sense of commitment, and skills, for a long time now. That is part of the reason why at 41, when Republicans recently took control of the House, Paul Ryan became one of the most powerful peope in the nation after being appointed to the leadership position of Chairman of the critically important House Budget Committee. And in just a matter of weeks, after taking on that responsibility, Paul Ryan led his committee to settle upon a budget brave enough to touch all the third rails in politics and comprehensive enough to deal with such things as entitlement reforms and all of the issues which the recent debt ceiling debate pushed off on to a select committee of 12. If Paul Ryan decides to run, he may face a hill too steep to overcome. He does not have the type of immediate fundraising capacity of a Mitt Romney or Rick Perry. He does not have the name recognition of a Sarah Palin or Rudy Giuliani. Not yet anyway. But given a chance, this relatively fresh and undeniably young face will have a profound effect on the Republican presidential race. Ryan is the little engine that could and he has the potential to catch the American public’s imagination in a way that Barack Obama did among liberals when he was running for President in 2008. But at the same time, Paul ryan has the ability to appeal to our senses and our logic. Paul Ryan has the ability to be an unpretentious, conservative Republican version of JFK, minus Camelot, nepotism, and philandering. He offers youthful vision, and has the ability to create a narrative regarding our nation’s problems that mixes honesty with hope and reality with resolution. Paul Ryan is decisive and dedicated. He is savvy, serious and sincere. He is a man of great humility and respect. But most of all, Paul Ryan is one of the few American politicians who is willing to speak the truth about the greatest problem facing our nation today ——– our out of control budget and debt. And unlike any other candidate, he has the knowledge, judgment, capacity, and willingness to share the truth about our budgetary mess and articulate the difficult decisions that we have to make, without any smoke, mirrors and false hopes. 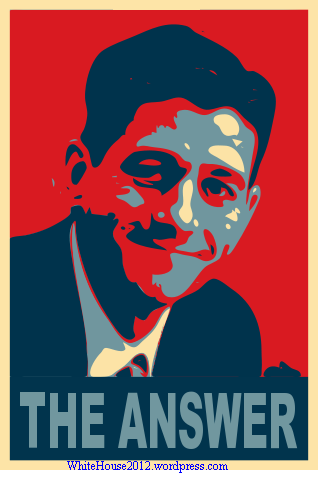 If Paul Ryan were to be our Republican presidential nominee, he will begin a national dialogue that will consist of tough truths and sellable solutions, not bumper sticker slogans and hapless hyperbole. If Paul Ryan runs, the question will not be is he ready to do the job, the question will be is America ready for Paul Ryan. We already know that the guy who currently has the job was not ready for it. But I know Paul Ryan is. Christie and Giuliani and Ryan and Palin, Oh My! As the time for when it will be too late to enter the presidential race approaches, four names remain the main focus of speculation. They are Sarah Palin, New Jersey Governor Chris Christie, former New York City Mayor Rudy Giuliani, and now House Budget Committee Chairman, Congressman Paul Ryan. Today the unreliable MSNBC source that is Jonathon Alter tweeted that he has discovered New Jersey Governor Chris Christie is conducting focus groups in preparation for a possible run for President in 2012. Aides to the Governor have denied the rumor and I tend to believe them. Christie may very well be conducting focus groups but that could easily be in reference to the type of strategy that he intends to use for the selling of his legislative agenda and the state legislative elections that are being held this year in New Jersey. With newly drawn district lines, both houses of the state legislature are up for election and for Republicans, winning control of at least one of the two houses will go a long way in passing Christie’s agenda in the two years to come. Still though, it is not unrealistic for Christie to be mulling over the possibility of a presidential run. He has been courted by business groups and political leaders throughout the country including one recent delegation from Iowa, where the first presidential nomination contest takes place. He has also been skewing his language lately in a way that would have him seem less partisan than he has been in the past. This is not to say he has moderated his positions but he has framed his positions as being the result of non-partisan, good government, leadership, rather than partisan political leadership. Former New York City Mayor Rudy Giuliani has himself said that he considering a second go at the Republican presidential nomination. However it is clear to me that Rudy is far too indecisive to even be considered. For whatever the reasons, ever since Rudy left elected office in 2001, he has come close to running for United States Senate and then abandoned his first senate race against Hillary Clinton. Then he toyed with running for Governor, first against Eliot Spitzer than against Andrew Cuomo and in between he toyed again with the idea of running against either Chuck Schumer or Kirsten Gillibrand for the U.S. Senate. And in 2008 his run for President was so half hearted and pathetic that it could not be taken seriously. In fact Rudy has toyed with running for elective office so much that it would seem he is more interested in playing than leading. Furthermore; if Rudy did not learn from his last failed attempt for the White House that a late start does not help, than I doubt he has learned enough to make another run any better than his last. However, this time around , Rudy believes that the more Republicans who run for the nomination, the better his chances of winning because he will have a greater ability to distinguish himself as a moderate, a point he made in this interview with Piers Morgan. In the end though, the only way that Rudy will run is if Sarah Palin runs. Rudy truly dislikes Palin and her politics, he has said so. And from what I gather, any attempt to run by Rudy would motivated solely by his desire to go after Palin. He has so much as said that if Sarah Palin runs for president, then, hell, he might as well throw his hat in the ring, too. This does not a President make. But Rudy probably won’t run. First because he is not as committed to the prospect of being President as one should be. And second, because Sarah Palin is not likely to run. Palin has made no visible moves that are indicative of the early beginnings of a campaign. She is also doing quite well as a positive motivational force and making good money at the same time. This combined with the fact that she knows how much her and her family would have to sacrifice at the mercy of a national media opposed to her, makes the prospects of a presidential candidacy for Palin unlikely. Another factor is Rick Perry. Perry and Palin have become friends of sorts and now that the Texas Governor is in, I believe there is a high probability that she will endorse him. But this is not set in stone either. If circumstances change and if Perry’s prospects are shot down and Palin believes she would be the only truly viable conservative TEA movement candidate, she will enter the race. This is unlikely but possible, especially given the fact that of all the possible Republican names being thrown around for President, she is the only one who has a national following so large and so motivated that she can afford a late entry in to the race. With an infinitesimal number of variables at play in the evolving presidential race, it would unwise for me to make any predictions. But the only reference to wise that has ever been made regarding me is to mouth, so I will go out on a limb here and make my prediction. 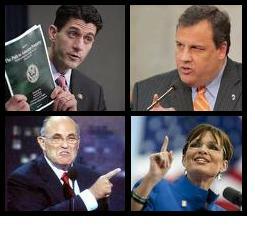 Of Ryan, Christie, Giuliani and Palin, the only one who is still likely to get in to the race is Paul Ryan. At least that is what I hope. In fact it is my hope which is probably what most accounts for this prognostication. But as they say, hope springs eternal. 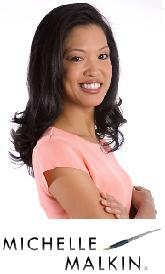 Leave it to MSNBC first to hire a socialist like Alter, and two to try pass Alter off as credible. Is Paul Ryan’s Path to Prosperity Also a Path to the Vice Presidency? Few budget proposals that come out of Congress, ever offer significant change. Most federal budget proposals to come out of the Congress and the White House, tinker with things around the edges, but rarely do they ever strike at the heart of fiscal problems. In fact, budget proposals that come out of legislative bureaucrats, usually only exacerbate the fiscal problems and kick the can down the road for another Congress or the next generation to handle. But on April 5th, 2011, Wisconsin Republican Representative Paul Ryan, Chairman of the House Budget Committee, introduced to the American people a budget proposal that not only meets the needs of today, but helps to make sure that the needs of tomorrow are met. In November of 2010 voters gave House Republicans a mandate to shrink government, create sustainable, private sector jobs and to cut spending. Now in one of the first real opportunities for the new Republican majority to show the American people that they got this message, took it to heart, and are serious about acting out in terms of the federal budget, Congressman Paul Ryan has stepped up to the plate for the G.O.P., and hit a homerun. The budget that he has convinced fellow Republicans to support, cuts $6.2 trillion over 10 years, imposes a cap on discretionary spending, reduces the tax rate for individuals and businesses to 25% and gives states the flexibility to manage Medicaid rather than keeping it in the hands of bureaucrats in Washington. Below this post you will find a video introduction to Rep. Ryan’s Path to Prosperity, a Republican attempt to control spending and put us ona path to prosperity and a balanced budget. The details can be found here. In both the video and the details of the budget, what we see is a man who is passionate about the budgets ability to put America back on track and to save future generations from a crushing debt that will eventually consume every cent of each tax dollar they send to Washington. And in the video you see a man who is not angry, not using inflammatory political rhetoric or trying to demonize political opponents. He uses soft spoken words to explain hard hitting facts that tell the truth about sensitive issues such as Medicaid and other entitlement programs. From the perspective of a American taxpayer, what Paul Ryan says is legitimate and honest, but from a political perspective this video shows a man who possesses a mix of economic understanding, passionate beliefs and the ability to articulate and address the problems facing this nation and the solutions needed to address those problems. That is why no matter who the Republican presidential nominee is and no matter whether he likes it or not, Paul Ryan will be on a short list of names to be considered for Vice President on the 2012 presidential ticket. Ryan has already sworn that he is not running for President in 2012 and says he honestly does not see that in his future, but it would be futile for him at this time to state any objections to the number two spot for Republicans in 2012. If the call comes, the pressure is put on, and the political climate continues to echo the need for economic leadership, the times will dictate that Paul Ryan accept such an offer. For no man who truly loves their country can refuse to serve it when they are convinced that duty calls. And right now America calls out for the type of leadership and fiscal understanding that Paul Ryan brings to the table and possibly to the presidential ticket.